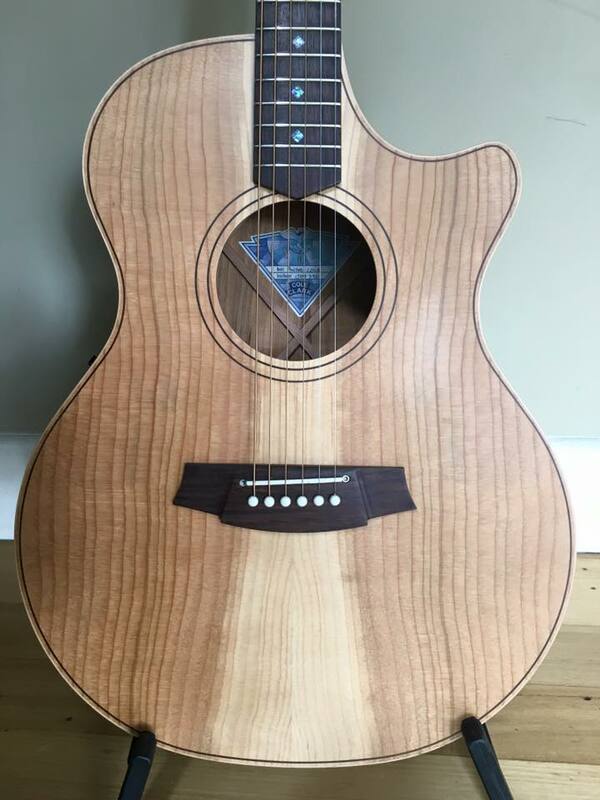 This is my new alt-tuned guitar (from bass to treble: Db-Bb-Db-Ab-Db-Db) made by Cole Clark guitars from Cedar of Lebanon, the same timber that Solomon used to built the Jerusalem temple. It seemed appropriate. It’s a sweet instrument, beautifully made, with their unique pickup system giving me the most natural plugged in sound I have heard from any guitar. MJ.